The Sparkly Mermaid - an energy art symbol hybrid painting. 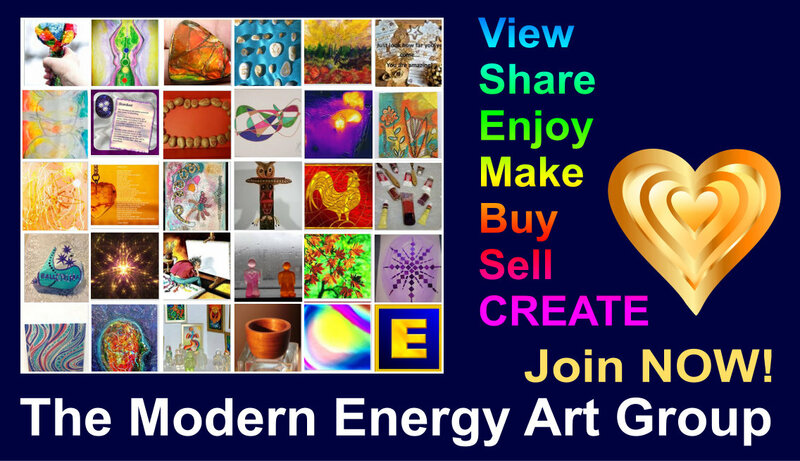 Decided to post the ongoing development of this painting as sometimes people think the final product just materialises magically somehow, when in fact it's a few simple steps that are taken, one after the other, to arrive at the finished work of modern energy art. Can A Mens Go To Antarctica? Sometimes, a project just arrives like rain falling from a clear blue sky. This is one of those projects. Can a Mens go to Antarctica ...? A collection of favourite photographs. Once in a while, interesting things happen when you do photography. I shall be adding to this as I go along. I found a wooden box at the dump. It was very well used and contained a few small tubes of old oil paint. Before I even saw it, my spider sense took me to it, and when I touched it, I had a strong sensation of an artist who had loved to paint, especially landscapes and flowers. They must have died because they would have never thrown that box away whilst they had something to say about it. One of my favourite "Bonus Paintings" was Story Island (B) and it is true, I could not wait to get the space to create a full size symbol hybrid painting - Story Island.